When we first introduced our Giant Eiffel Tower prop rental online four years ago, we had no idea what an impact it would have. We have received hundreds of inquiries from all over the world, from brides, planners, florists, and venues. Keeping up with demands, we've created a new prop tower at 12' tall, which is easy to ship continentally, and even easier to put together by just one person. It's a very unique prop rental and we love the way it wows guests every time. Its simple yet elegant design comes apart to lay flat in 3 custom road cases that can arrive at your venue in as little as 3-5 days. Its light weight construction and easy to follow manual make it a quick project for one person to build in less than 1 hour, disassemble and repack alone. Please fill out the form below with as much information as possible and we'll have a quote ready for you quickly. 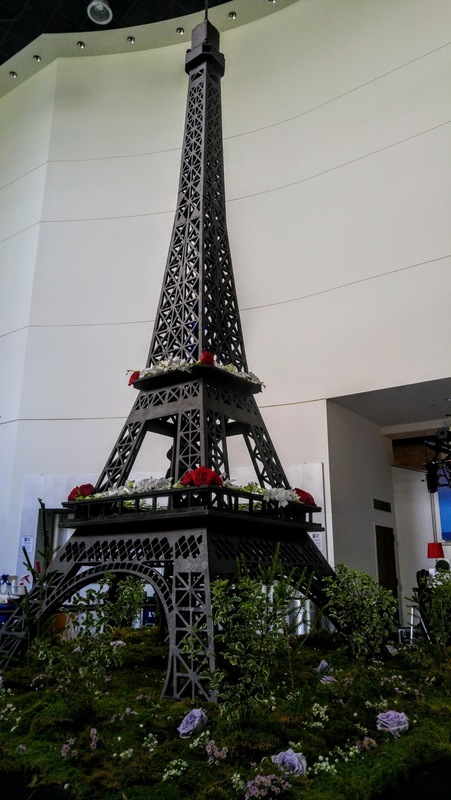 "The event was great, and the Eiffel Tower was a hit! See attached for some great photos of how it turned out. We couldn’t help ourselves but to have a little fun by adding a King Kong before guests arrived. Please provide the city, state, and zip code. If possible, please also provide the name and address of the event venue. Please note that it is our client's responsibility to confirm the ceiling height where you'd like the 12' tall Eiffel Tower. No refunds are issued in the event that the tower does not fit in the location you select. If you don't have a venue yet or are not sure of your ceiling height, please leave this blank. Would you like pricing for other props or decor elements? We have Parisian streetlamps, French tabletop decor, international theme props, and much more. If you would like us to include an additional quote for an Eggsotic technician to help with installation, select Yes.